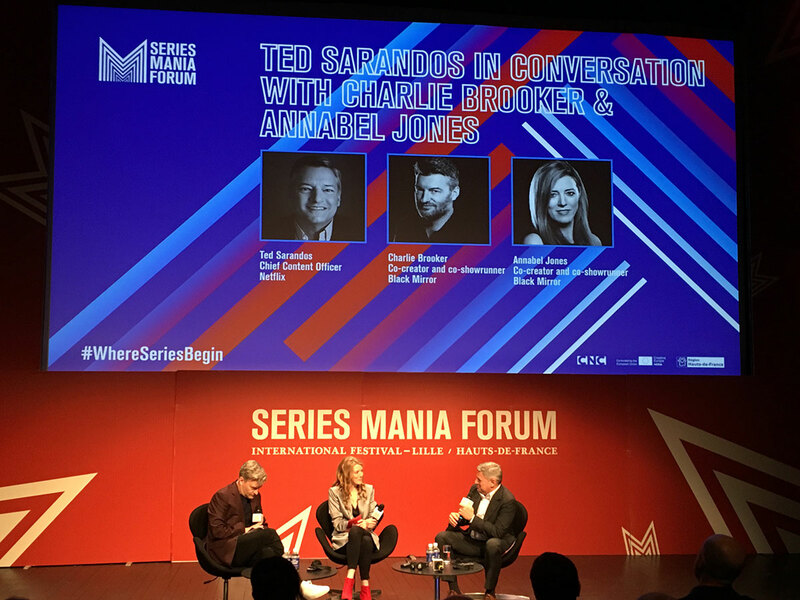 At Series Mania in Lille this week Netflix chief content officer Ted Sarandos spoke of investing US$1bn in original film and TV in Europe. He looked forward to the opening of the Paris office, adding “it had never been our initiative to export Hollywood to the world”. As strategies go it’s perhaps not rocket science in an industry that has long known the value of local content, but it was a welcome step forward for Franco-Netflix relations at the Festival where wild optimism about opportunities new platforms are providing was tempered by doubts over the challenges of the changing marketplace. Amazon Studio’s head of European Prime Original Series, Georgia Brown confirmed that creative offices in France, Spain, Germany and Italy will employ local executives from those territories who can under the skin of local market tastes. Its scripted team is nearly in place and the streamer’s non-scripted team will be fully in place by May. Heady days for European content creation and it’s no wonder that the current state of the market has been likened to the Gold Rush. In a session ‘New Opportunities in Television’, head of TV Advisory and partner at Endeavor Content Lorenzo De Maio suggested that “non-English language product is potentially in the greatest moment ever in terms of global reach and some of the credit has to be given to the global SVODs, especially in the US market, where they have re-educated audiences”. So yet another page of the rule-book is rewritten by streamers as their global model challenges traditional ideas about content’s global appeal. Whereas Amazon’s Georgia Brown saw the positives in the ‘disrupter’ label the streamers have acquired as something that helps the industry evolve and progress, Netflix’ Sarandos disliked the negative connotations. On face value, the opportunities presented by the arrival of new platforms are head-spinningly optimistic. But it’s useful to remember that the Gold Rush took place in the Wild West and in the current TV landscape, independent producers are in something of a shoot-out with streamers over rights ownership and talent. He argued that creative quality deteriorates when too many opinions are in the mix and added that launching a show on Netflix triggers a worldwide ripple about its shows that gives them a global reach and by tying up global rights long-term, people who are late to discover a particular show won’t miss out. Great for the viewer. Not so great for the producer who is used to securing a commission fee and having a stake in the back-end of their IP. Producers discussed the changing face of the industry in a panel ‘Independent Production and industry Consolidation’ where the challenge of ensuring quality in high volume output was highlighted. Haute et Court producer Caroline Benjo said: “We need to invent a new model that will understand this need for content” and added that she is starting to develop an idea of a model that will be “a horizontal concentration of independent producers all around the world to be able to have this leverage that we need”. As producers respond to the changing environment, Endeavor’s De Maio suggested more consolidation in the independent production sector might occur as a result of the hike in demand for content. He proposed that there could be a separation in the marketplace between companies who can keep up and get multiple commissions and create a sustainable model and those who can’t. The other issue for independent production sector is the possibility of being cut out of the loop as platforms move to sign first-look deals directly with name actors, writers and directors. To counter this concern, Brown commented: “You can’t buy talent. Talent will go where they have the best experience.” Whether ‘best’ means ‘most lucrative’ remains to be seen, but with such seismic changes happening so fast in the industry, there’s a sense that high noon is approaching.